If you are a regular watcher of the sky, you know there will be a special event at the end of this month. What people are calling the Super Blood Moon will appear early morning on Wednesday, January 31. Individuals living in the western part of the United States, Alaska, and Hawaii will all have good visibility of the lunar event. Not someone who follows lunar events but would like to see what a Super Blue Blood Moon is, exactly? The Super Blue Blood Moon is the third in a series of supermoons. 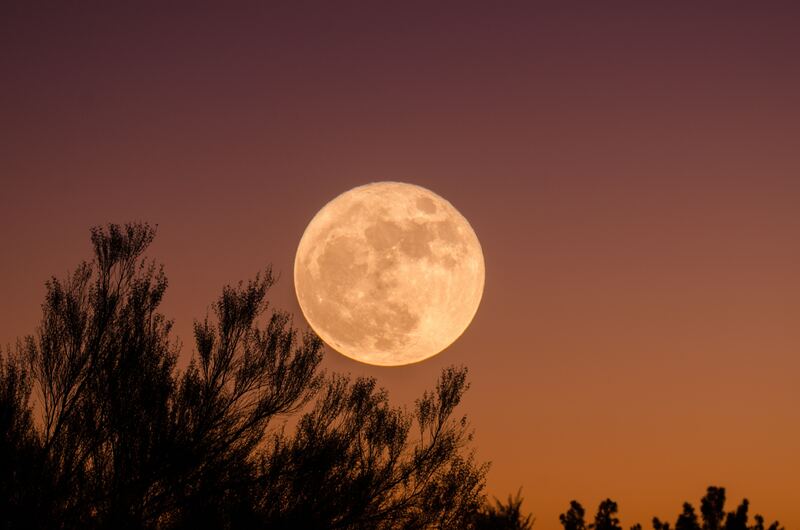 A supermoon occurs when the moon is closer to the Earth than it normally is during its orbit. Usually, this means the moon is about 14 percent brighter than normal. A blood moon occurs when the moon passes through Earth’s shadow, giving the moon a red tint. The second full moon of the month is referred to as a blue moon. In the case of January 31st’s supermoon, all three of these events are occurring at one time, which is why it is being called the Super Blue Blood Moon. People living in North America, Alaska, Hawaii: the best visibility will be before sunrise on January 31 (Wednesday morning). People living in the Middle East, Asia, eastern Russia, Australia, New Zealand: the best visibility will be during moonrise the morning of the 31st. Those on the West Coast of the United States, as well as residents of Alaska and Hawaii, will have a great view of the event from start to finish. For those on the East Coast, seeing the eclipse will be more difficult. If you want to try your luck at viewing the eclipse, it begins at 5:51 a.m. EST. Experts say that those living on the East Coast may have a better chance at viewing the Super Blue Blood Moon around 6:45 a.m. EST if they are able to get to a high place. Find a spot where there is a clear view of the horizon. Around 6:48 a.m. the moon will take on a reddish tint at the horizon. However, individuals in the east won’t have the show people on the West Coast will have. People living in the Central time zone will have a little bit of an easier time viewing the Super Blue Blood moon. The eclipse will begin at 4:51 a.m and by 6:15 a.m. CST the moon will have a noticeable red tint. To get the best view, head out between 6:15 a.m. and 6:30 a.m. CST. By 6:30 a.m., the moon will set and the sun will begin to rise. If you live in an area that goes on Mountain Standard Time (MST), the best time to view the Super Blue Blood Moon will be between 6:30 a.m. and 7 a.m.
For those living in the western part of the U.S., you will have an entire hour to view the lunar event. The eclipse will begin while most people are still in bed at 3:48 a.m. At 4:51 a.m., totality will begin. Between 5 a.m. and 6 a.m. Pacific Time will be the best time to view the eclipse. The moon will begin to set shortly after 6 a.m.
What If You Miss the Super Blue Blood Moon? These viewings are all weather permitting, of course. There is always a chance that bad weather may prevent you from being able to see the lunar event. For those who miss the January 31 event, for weather or sleep, you’ll have to wait almost an entire year to see anything like it again. The next supermoon that will be visible across the U.S. won’t be until January 21, 2019. It won’t be a Super Blue Blood Moon though. So, if you’re eager to check out next Wednesday’s early morning sky, set your alarm early! Do you wake up early or stay up late for astrological events? Will you be waking up for the Super Blue Blood Moon? 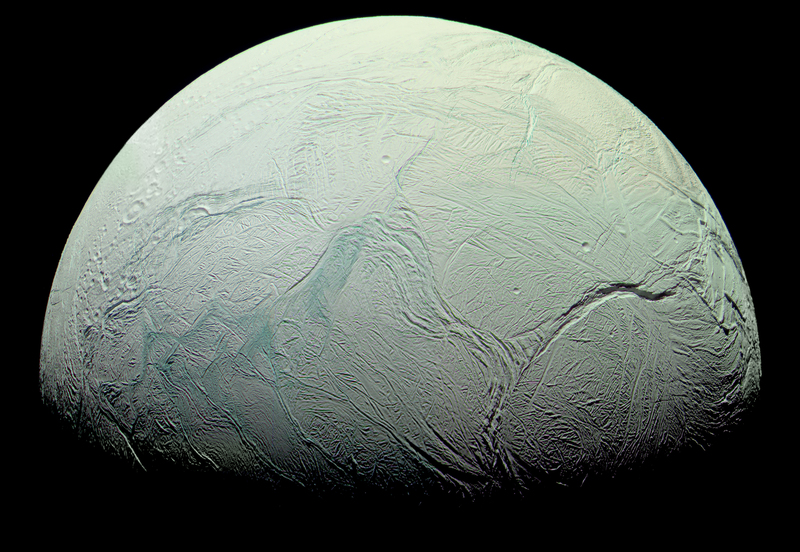 First discovered in 1789, Enceladus is the sixth-largest moon of Saturn, a sizable distinction for a planet that has sixty-two known moons of which only fifty-three are officially named. Previous data from NASA’s Cassini spacecraft in 2005 showed “eruptions of water geysers” at the surface of Enceladus suggesting that the moon might have water beneath its frozen crust, likely in an area surrounding its core. Because the presence of water serves as a kind of litmus test for the potential of life in space, scientists dubbed the moon, “one of the best potential sites for hosting life in the solar system” along with the moon Mimas and Titan. Now, a new report published in the March 12th issue of the prestigious journal Nature, takes Cassini’s previous findings further. According to the authors, detected “grains [of] nanometer-sized SiO2 (silica) particles, [were] initially embedded in icy grains emitted from Enceladus’ subsurface waters and released by sputter erosion.” Moreover, they determined that because of the composition and size of the particles, they would have to come from “high-temperature (>90 degrees C) hydrothermal reactions” capable of quickly transporting products from the ocean floor to approximately 24 miles above. As reported by Space.com, this mechanism is similar to the action of hydrothermal vents on Earth’s seafloor and thus, Enceladus now has the distinction of being the first location outside of earth where scientists have detected ongoing hydrothermal activity. Lab tests then confirmed that these particles could only be generated under very specific physical conditions, namely very high temperatures, depths of at least 24 miles and a pH greater than 8.5. 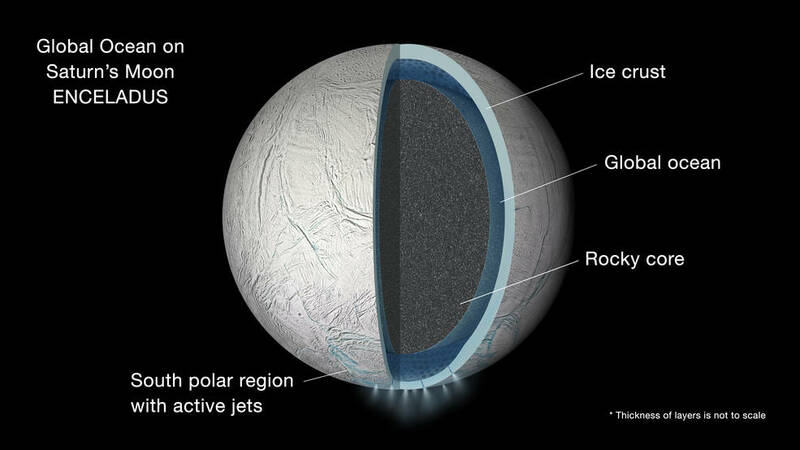 Hsu continued that the main source of heat is likely an effect known as “tidal heating.” In the case of Enceladus, Saturn’s gravitational pull so deforms the moon that rocks are heated, though to generate the high levels of heat predicted to be at Enceladus’ core, there must be another source of heat, potentially a radioactive material. This finding is sure to increase interest in Enceladus as a potential harbor for life. In his statement, Hsu mentions that hydrothermal systems fulfill three criteria to sustain life, namely they produce energy, nutrients and liquid water. Surprisingly, we might come closer to finding life in space by examining extreme areas of the solar system, so unlike our own. Fall is a time of year that many people favor. One of the reasons for this is the end of daylight saving time (DST). Soon the citizens of the United States will have lighter mornings, cooler temperatures and an extra hour in bed each day. It’s a refreshing time of year. When EXACTLY do clocks fall back? “Spring forward and fall back” has always been the saying to remember which time of year the clocks go forward and back. Clocks go back on Sunday, Nov. 1 at exactly 2 a.m. There are many states in the U.S. that participate in DST and gain an extra hour in bed, even if you only really notice the change for the first week. Daylight Savings is actually an incorrect way of referring to the time of year. The correct way of referring to the turning forward and turning back of the clocks is Daylight Saving Time or DST. Benjamin Franklin started DST. 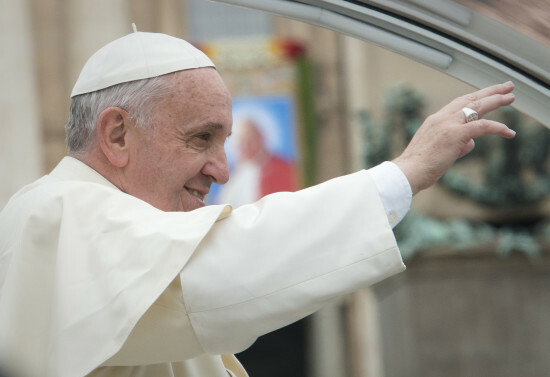 He suggested that people get up earlier to make better use of the available natural light. By making use of the available light, Americans would save candle wax. The time change has not always been an hour. Over time, the time change has jumped from an hour to half time (30 minutes) to double (two hours). Other adjustments to the time change of just 20 to 40 minutes have also been used. DST has been contested by many people. Many people say that they are not sure that any energy is being saved by practicing DST. The darker mornings also prove to be dangerous for young children waiting for the school bus. There may also be a health risk. Studies have shown that the “spring forward” part of DST has been linked to an increase in number of heart attacks. However, there was also a decreased risk of heart attack when the hour was added back to the clock. Those in favor of DST say that the turning forward and back say that the practice can help reduce traffic accidents, save energy, boost tourism and even encourage people to exercise. 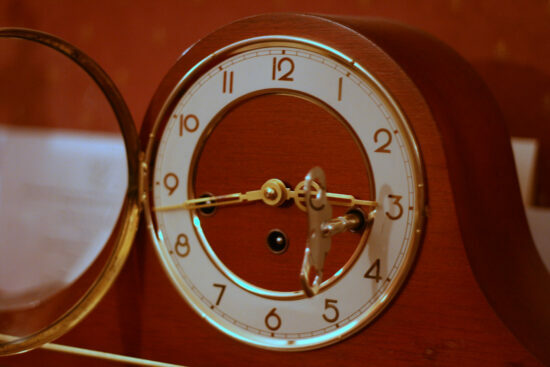 The greater affects of DST overshadow the negative, according to supporters. The clocks will go forward again on March 13, 2016 and the American people will have to adjust to the time change once again. Whether it is for the best or not is always a topic of debate amongst Americans, but DST is here once again. NASA’s Soil Moisture Active Passive, SMAP, is a mission of NASA’s Jet Propulsion Laboratory (JPL). SMAP launched from Vandenberg Air Force Base in California on January 31, 2015. SMAP is an orbiting observatory that measures moisture in the top 5cm of soil everywhere on the Earth’s surface. 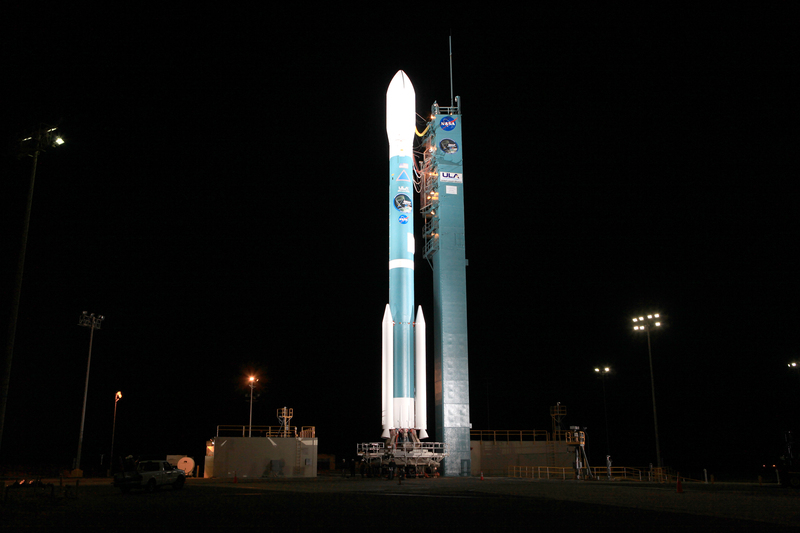 It uses active and passive instruments to measure the planet’s moisture level from space. The three main parts of SMAP are a radar, radiometer, and the “largest rotating mesh antenna every deployed in space”. The top 5cm of soil is the topsoil layer in which the food we eat grows and where other vegetation lives. SMAP will also determine if ground is frozen or thawed in colder areas. It is designed to measure soil moisture every 2-3 days over a three year period. The data SMAP provides will help scientists provide early warning for drought. Researchers forecast an increase in drought frequency in many regions of the world by the end of the 21st Century. Sustained drought can lead to crop failure, livestock death and eventually the death of people. The National Drought Mitigation Center helps reduce vulnerability to drought through preparedness and risk management. The data from SMAP will help reduce vulnerability. SMAP will help improve crop yield forecasts and irrigation planning not just in the US, but around the world. This will improve humanitarian food assistance. The number of malnourished people around the world is expected to increase by 5-26% by 2080. The SMAP data will also improve the ability to predict floods with higher resolution measurements of soil moisture. Floods are the #1 natural disaster in the United States and the leading cause of weather-related deaths. The data will help improve local weather projections from days to weeks. Soil moisture links the water, energy and carbon exchanges between the land and the air. The health of the biosphere is dependent on the flow and storage of water, energy, and carbon. The global climate depends on how these cycles link together and vary. Global climate change is the major environmental challenge of this century and will have a major impact on society in the future. SMAP is one the highest priorities for the Earth Science community. The data gathered will have a major impact on science’s ability to predict weather and provide preparedness and risk management to society. SMAP’s radar stopped transmitting on July 7, 2015 due to an anomaly with the radar’s high-power amplifier (HPA). Mission managers from NASA’s SMAP Observatory say that the SMAP spacecraft continues regular operations even thought the radar is not able to return data. They acknowledge that although some of the planned applications of SMAP data will be impacted by the loss of data, the mission will produce valuable science. SMAP is a fraud. The SMAP mission is costing $915 million. The radar is the core component of SMAP’s mission and failed after a few months of use. Without the radar the SMAP mission cannot achieve the minimum success criteria, or Level 1 science objects, that NASA set when approving the mission. NASA has acknowledged that the radar cannot be repaired, but will not admit that the radar failure prevents mission success. 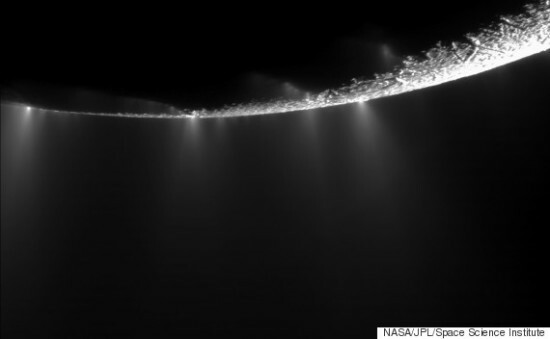 Initially believed to be just a regional water body on the South Pole of Enceladus, the source of fine spray of water vapor, icy particles and organic molecules is in fact a major ocean covering the entire moon, a new study has suggested. Studying the tiny wobbles of Saturn’s moon, researchers at Cornell University and SETI have showed how they have come to the conclusion that beneath the icy crust of Enceladus lies a huge ocean. Using data collected by NASA’s Cassini spacecraft, researchers studied the moon’s very slight wobble, as it orbits Saturn. They say that the wobbles can only be accounted for in case where the outer ice shell is not connected to the rocky core or any part of the interior – something that suggests that there is a global ocean between the shell and the core of the moon. Presence of water has already been suggested in previous studies, but that was said to have been present in the south polar region, but in depth investigation of gravity data from Cassini sheds a whole new light on the moon’s geology suggesting that the possibility of global ocean are higher than a regional one. The team plugged their measurement of the wobble into different models for how Enceladus might be arranged on the inside, including ones in which the moon was frozen from surface to core. The research is presented in a paper published online in the journal Icarus.